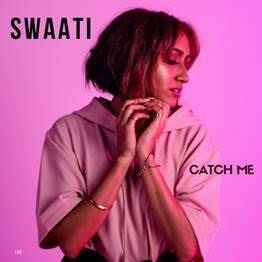 Hailing from West London dance-pop singer-songwriter Swaati has been turning heads within the music industry with her distinctive vocals and song writing skills. With a sound described as a fusion of electronic, commercial and French House, Swaati has been compared to Lykke Li, Grimes and London Grammar, with her haunting and emotive vocals. New single Catch Me is about addiction, in this case being addicted to a person so much so that overtime you try to get away, you simply can't. You can’t live without them. It’s a song with a bittersweet backbone. It’s about the idea of Love, but some types of Love can become unhealthy when they crossover into a form of addiction / obsession & dependency. Listen on Spotify or to find out more visit her website.